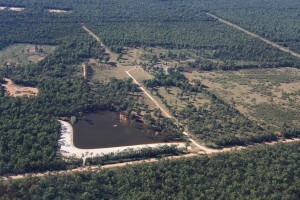 Dewhurst 8, a Pilot Production Gas Facility developed under the Exploration Licence PEL238 for Eastern Star Gas/Santos on private property next door to me and right next door to the Pilliga East State Forest, is the only place in the current area of Exploration in PEL238, where the water contained in the dams on site is RED. 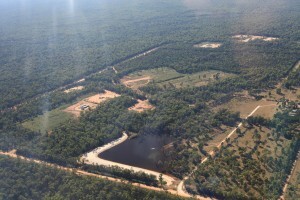 Not all the dams and flooded flare pits are this RED colour, in fact as observed in an aerial fly-over of the CSG Exploration and Power Station sites on March 3rd 2012 and April 21st 2012 confirmed that these were the only 2 Dams whose waters were RED. WHY? 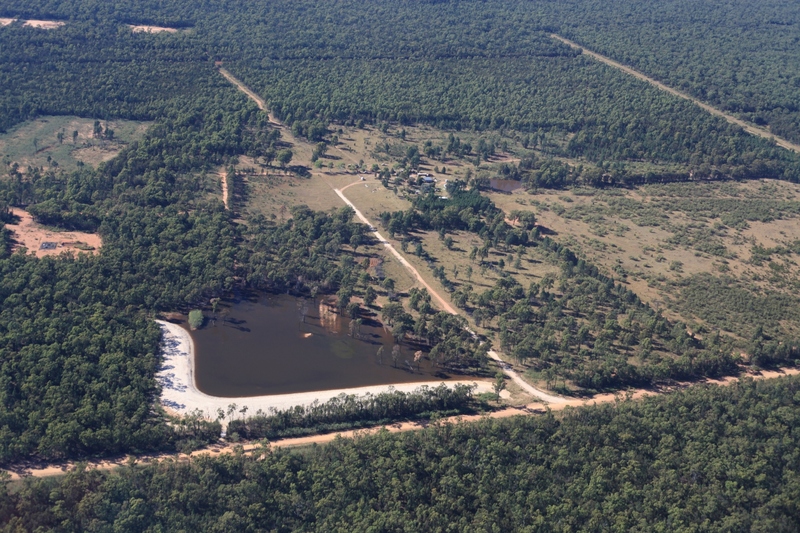 Dewhurst 8 has a history of spillages, leaks and flood-overs, as well as over clearing, over the years since May 2008, all of which has been reported and ignored by the relevant NSW Government Departments and Politicians. I wonder why nothing was ever done and maybe will not be done despite the fact that these two Dams have RED water in them and Algae Blooms can be clearly seen in one. Is the long arm of ex-politicians involved? Santos you have many questions to answer.